The Invention of E.J. Whitaker is a steampunk adventure comic written by Shawnee´& Shawnelle Gibbs. Inspired by the Gibbs sisters' love for the early 1900s and their passion for speculatve fiction, the comic is a project the sisters are planning to release in 2015. How did the story come to you, is it based on a real figure? SHAWNELLE: The turn of the 20th Century was a magical time in so many ways and we love the possibility that existed during that period. The Invention of E.J. Whitaker, is actually the second project we've written based in this era. It combines completely fictional characters with some historical figures and elements from the time. 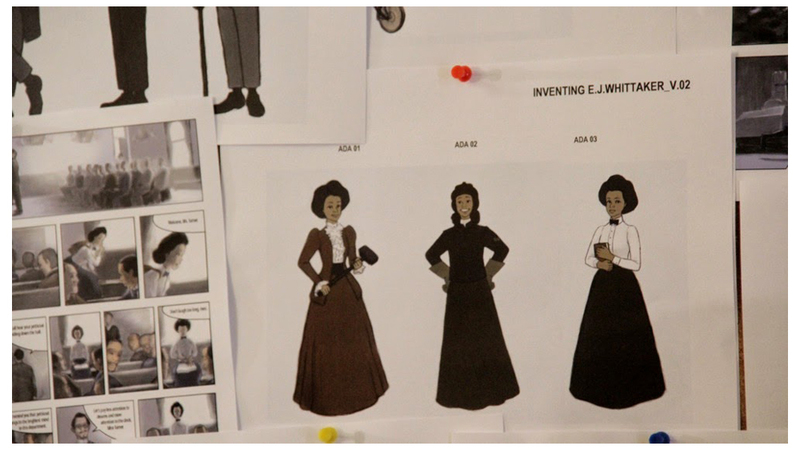 The lead character, Ada Turner, was in part inspired by Ada Overton Walker, who was a star of the stage in the early 1900's. Why the steam punk style? SHAWNEE: Shawnelle and I seem to find a way to work a little science fiction or magic into most of our stories, probably because we were such imaginative kids. Since we were compelled to tell the story of a girl building and navigating flying machines in the early 20th century, we knew Steampunk would be the perfect genre to bring the story to life because it's a genre most famous for its adventure and Victorian settings. Are you also pitching it to broadcaster and if not why the crowd funding route? SHAWNELLE: At our hearts, we are truly independent thinkers and creators. We've self-financed most of our projects in the past and really enjoy creating without limitations. Our comic, Fashion Forward, a series we started a year and a half ago really put us in direct contact with readers and got us interested in the world of Independently published comics. We think EJ is a great way to keep our connection and dialogue with readers going and bring the project directly to the people. We are in love with this story. If a possible contributor believes in the project one-iota of what we do, a pledge to the Indiegogo campaign gets them a copy of the book, and some tokens of appreciation from us. With EJ Whitaker, we're really creating content for another genre we think is overlooked but is a core part of who we are--AfroFuturism. We'd be overjoyed to have readers help with funding the first issue of EJ Whitaker, but we certainly can't rule out traditional publishing routes if opportunities arise down the line. We are happy to reach as many eyes and ears as possible. What are your dreams for the project? SHAWNEE: We hope that our first issue becomes one of a series of books about the adventures of our young inventing heroine and her allies. I think in this country, we tend to concentrate on the history of African Americans pre-1865 and often overlook the wealth of stories in the decades following slavery. The 1900's was such a time of rapid growth and advancement for us as a people--and America as a whole--that it begs to be re-discovered. We hope that the The Invention of E.J. 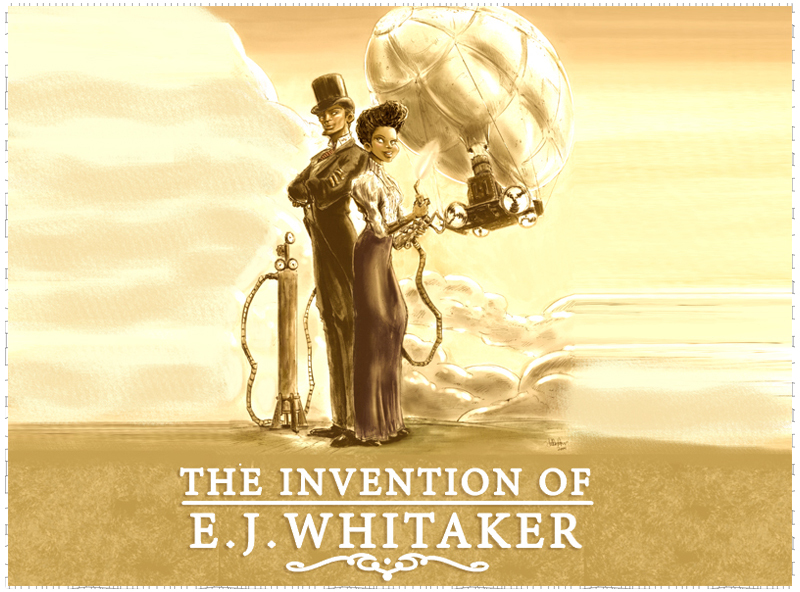 Whitaker becomes a series that can inspire the hearts and minds of this century's innovators.